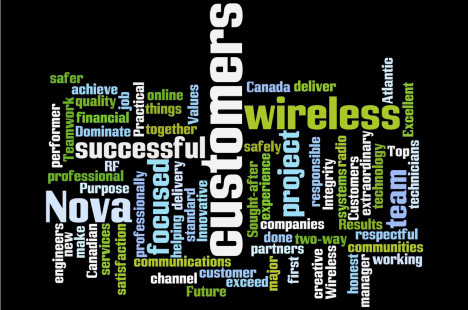 At Nova Communications, we go to work each day to help Canadian companies and communities be more successful and safer with wireless. We are a team of over 30 committed people who design, implement and support wireless technologies for a wide range of corporate and government customers. Customers across Canada doing important work in our economy and society across a diversity of sectors including: public safety, healthcare, utilities, oil & gas, mining, transportation, construction, manufacturing and retail. This visual depicts a composite of our purpose, future and values. We are proud of the industry-leading partners we work with—global successes in their respective fields like Motorola Solutions, Cisco, Cambium and Zebra. We have customers today who have been with us since our start in 1982. Nova is ISO 9001:2008 certified, reflecting superior engineering and our focus on quality. We take our commitments seriously which is fundamental to earning long-term customer relationships and trust. We put wireless to work!